The smaller capacities makes the Intel Optane SSD 800P series affordable, but the performance is still solid. Intel rated the 800P series at QD4 with sequential read speeds of up to 1450 MB/s and sequential write speeds of up to 640 MB/s. When it comes to 4K Random Read/Write performance the performance numbers are even more impressive with 250,000 IOPS read and 140,000 IOPS write. 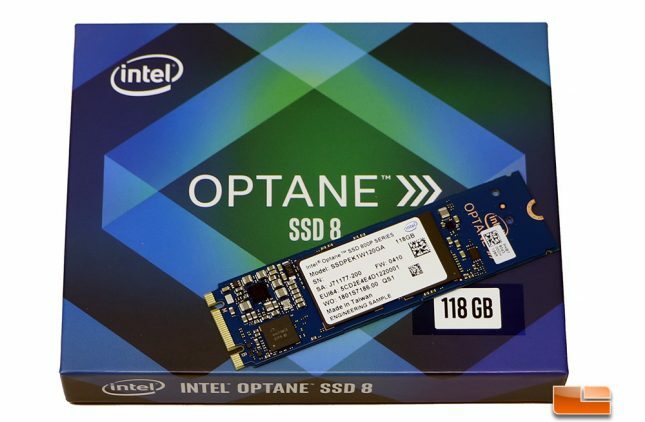 Those performance numbers are topped off with a 365 TWB endurance rating or 200GB writes per day for the 118GB drive and both capacities are backed by a 5-year warranty. Power numbers also look good with just 8mW being used at idle (L1.2) and up to 3.74W at load. 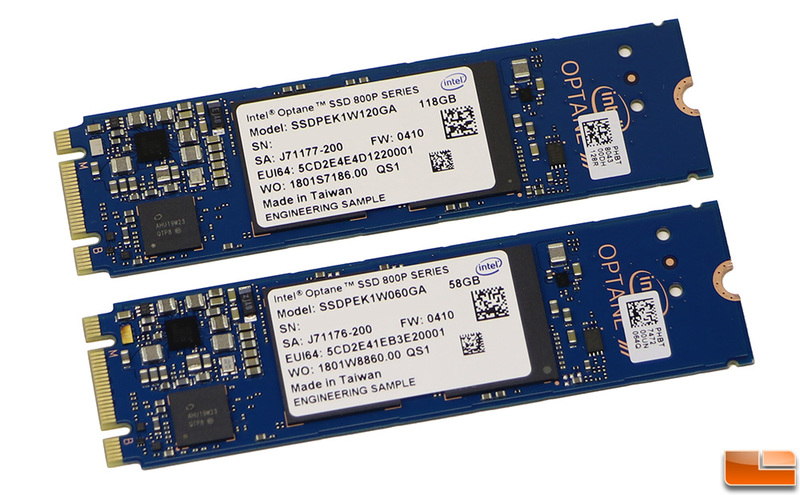 The Intel Optane SSD 800P 58GB and 118GB drives look virtually identical as you can see from the image above. Both have two 3D Xpoint non-volatile memory chips under the label and are controlled by an Intel designed controller. Intel is not ready to divulge specifics on the controller though, so we don’t have much to talk about on that front. 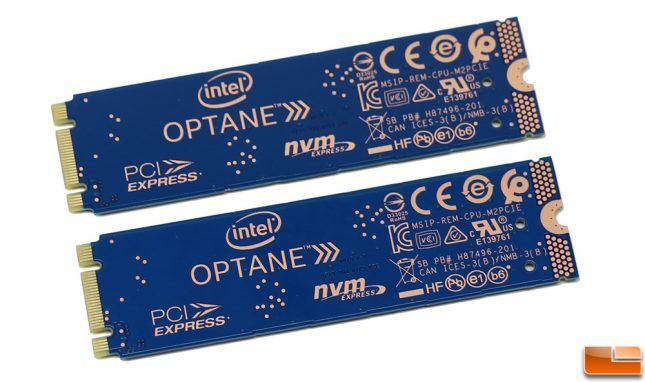 The back of the Intel Optane 800P SSDs don’t have any components on them. The performance on the Intel Optane SSD 800P on the 58GB and 118GB drive were pretty close to being the same. We couldn’t find any significant performance difference between the two drives, so we’ll be showing the results for the 118GB model to keeps the charts from being overly complicated. Let’s take a look at some 800P benchmarks!